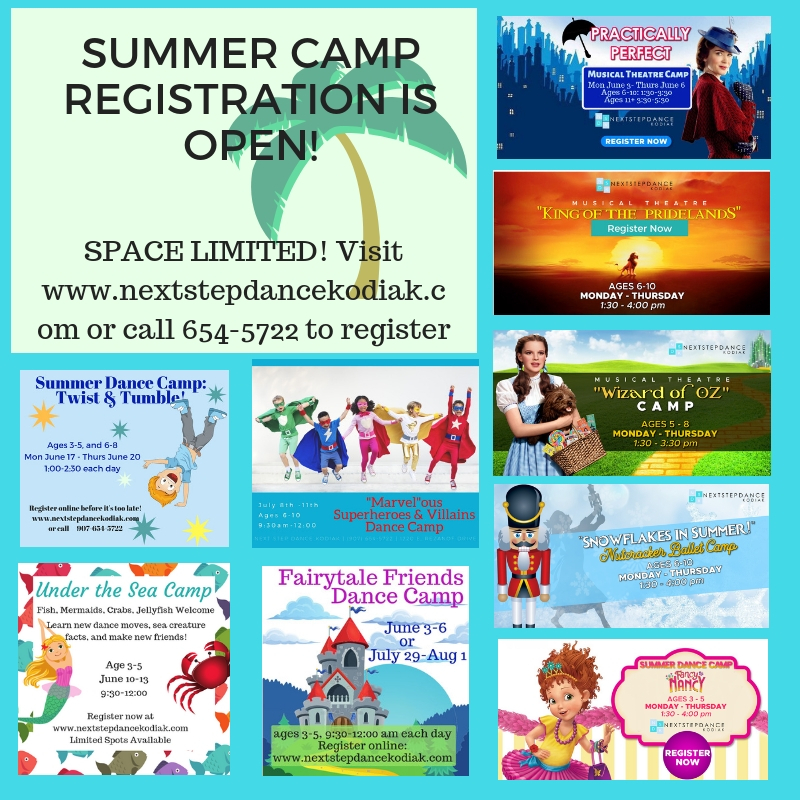 We know that Next Step Dance Kodiak’s Summer Dance, Musical Theatre, and Tumbling Camps are eagerly looked forward to each year. You’ve asked for more options, and this year we’ve got musical theatre, ballet, jazz, and fun themed camps for our youngest stars! Camps sell out quickly, so get your spot soon!